Welcome to our pool photography gallery. Paul's Vegas Photography has had the pleasure to capture many unique swimming pools in Las Vegas, Nevada. Our unique pool photography has won many awards and our pool photography has been published. 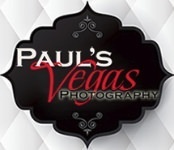 Let Paul's Vegas Photography capture the images that represent your pool design and construction to its full potential. If you are a Real Estate agent, a swimming pool builder, or apartment owner with a pool feature, hiring a pool photography expert will show your listing asset in the best light. We are known for capturing spectacular Las Vegas pools both day and night.